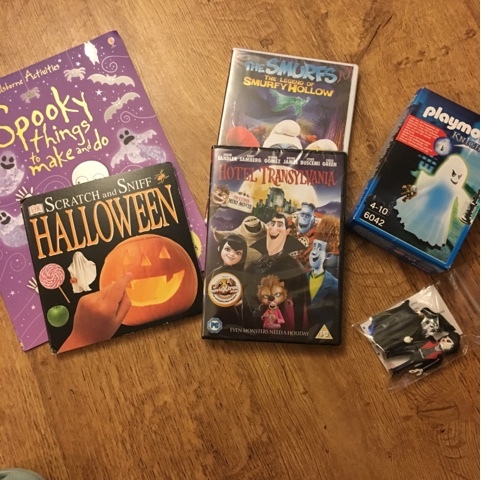 Somehow this year, I seem to have turned Halloween into pre-Christmas, with books, dvd's, small toys and treats akin to those you'd find in a Christmas stocking! Mums' Days spooky sticker chart with the promise of a surprise if he manages to collect all 12 stickers by 31st. He's doing well! It's 29 October and he only has 1 to go! For his gifts, he has, a sticker book and things to do, a scratch and sniff Halloween book (which in hindsight might be a little young for him) a smurfs spooky dvd, hotel Transylvania dvd, which is his favourite film at the moment, a playmobile vampire with pet raven and a playmobile ghost, which could also be used with his pirate ship or the castle he's getting for Christmas. As well as these, he's had a witches brew drinks dispenser and mini pumpkin light which he has had already. I really wanted to present these nicely ready for when he opens them Saturday morning, but didn't really want to use tissue paper. 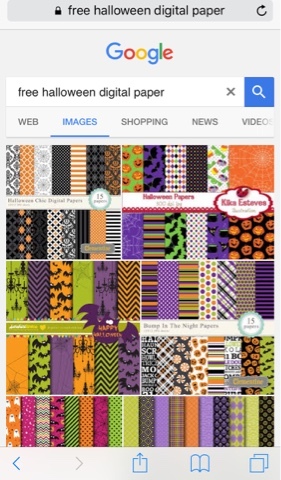 I searched google for free Halloween digital scrapbook paper and found loads! 6. I copied the image and lined up the second against the first making sure the whole page was covered. A small margin was left on the printed sheets which could be cut off if you like, personally, I didn't bother. 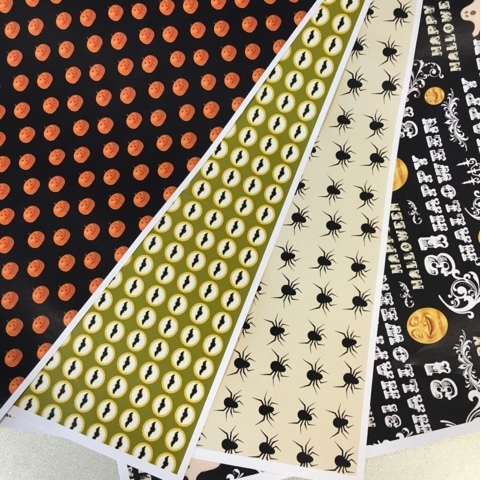 Obviously you could create wrapping paper in this way for any design you can find! The beauty of digital scrapbook paper is that most of the time it re-sizes perfectly so you get no distortion, if you use a photo or other image it may pixelate when you enlarge. 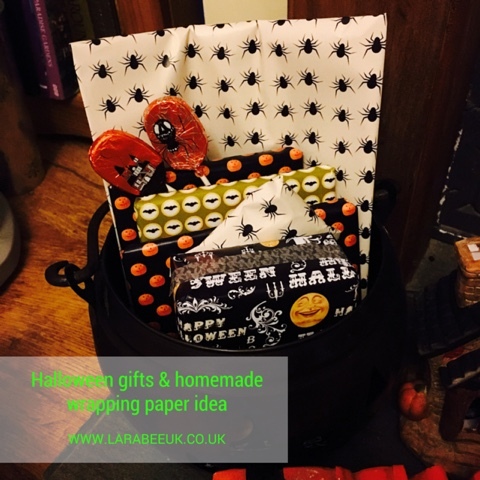 As you can see these turned out really well, I've wrapped the gifts and popped them all in one of our big couldrens ready for Halloween along with some yummy treats. If a proper 'step-by-step' word tutorial would be useful, please leave me a message and I'll create one, I really wasn't sure if I should do one or not, so your feedback would be fab please! Thanks so much! Happy Halloween! You can see all my Halloween posts here.